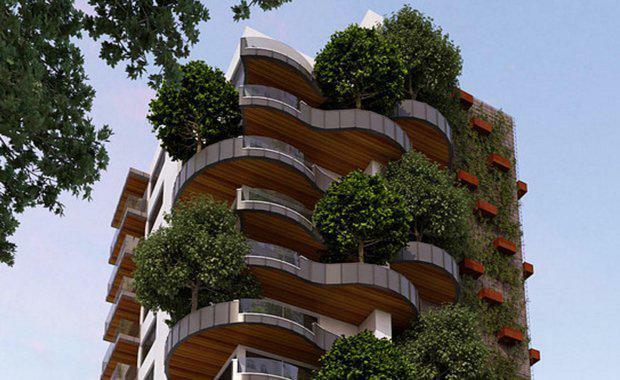 Covered in vegetation and providing 'homes in the trees', Melbourne's new 'K1 Residences' provides a unique, once in a lifetime opportunity to purchase full floor apartments with commanding 360-degree views. Developed by Optimus Developments and designed by architectural firm DE atelier, K1 is located at K1 Union Street Melbourne, comprising of only 13 entire-floor elevated residences, each over 175 square metres. 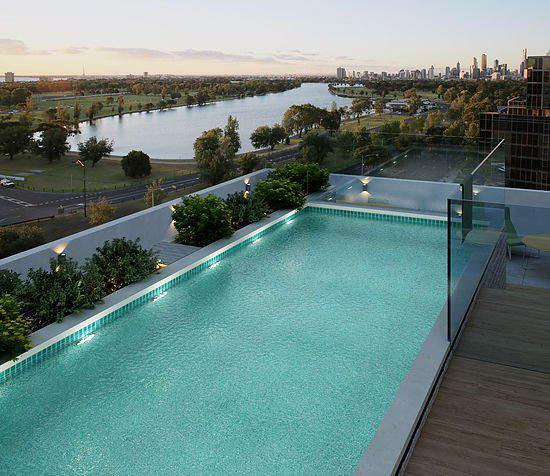 Owner occupiers are provided with the ultimate luxury of living space with spectacular views in every direction, overlooking Albert Park lake through to the gleaming towers of Melbourne’s CBD, Port Phillip Bay and the leafy boulevards of St Kilda Road. It is one of the most unique selections of residences to come onto the market this year. DE atelier Architects have designed a residential apartment building that provided its residents the benefits of city apartment living and the space and qualities associated with detached family homes. The design has been inspired by the surrounding lush parklands and features full-grown trees, which will be deeply planted on the K1 facade. DE atelier architects Director Leon Eyck said the desired effect is to have "glorious gardens aloft in the air". “The surrounds of K1 have been acknowledged and have helped inform the identity of the building. The urban streetscape, the gardens of Albert Park and the mature tree-lined St Kilda Boulevard especially have inspired the greening of K1. "It provides a private home that is open to nature and the world around it and has been designed to be lived in and enjoyed. "All homes share in the outlook to area's “street trees” and it is here the design of K1 truly provides a unique response. 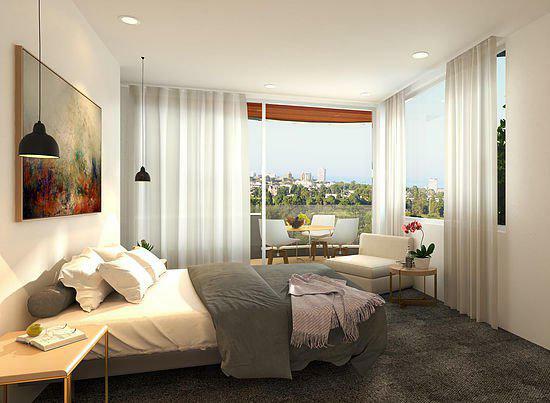 Residents will experience space and light, both immediately, with the generous rooms and patios to all homes, and out beyond with expansive views in all directions provided by the generous openings throughout. 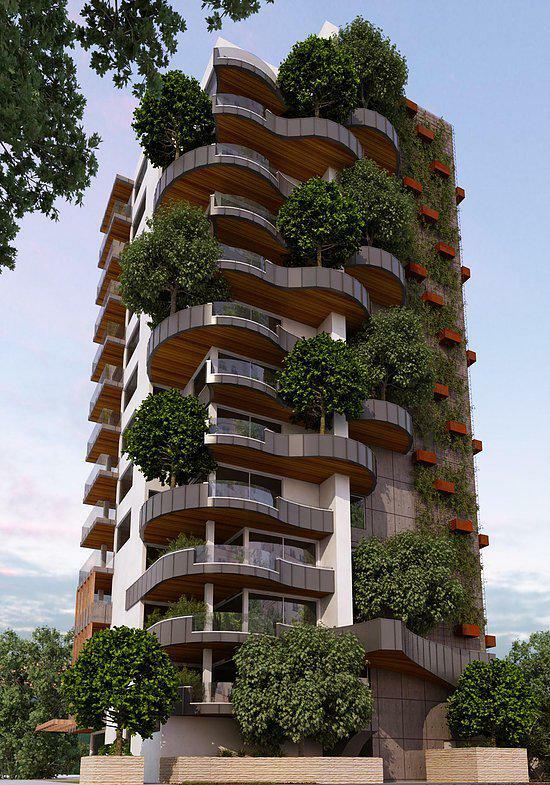 The ground floor apartment will feature an expansive outdoor leafy landscaped sanctuary with a 200 square metre private garden and an exclusive residents-only entrance. The top of K1 will feature a penthouse with a luxurious 135 square metre entertainment terrace, sleek rooftop lap pool and breathtaking 360-degree view. 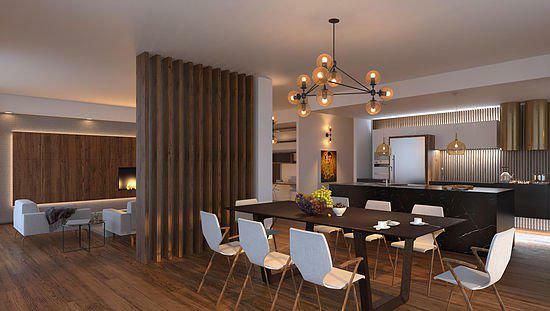 Bergman and Co Interior designer Wendy Bergman said that the apartment interior layouts will be meticulous in detail with finessed finishes and fittings. Bergman is renowned for hospitality and residential interior masterpieces, and has selected a rich, earthy palette of finishes such as marble, timber and leather which is off-set by wool carpets, to create a home that is both sophisticated and comfortable. Creating the perfect balance of functionality and pure elegance, premium European fittings will feature throughout K1, with Poliform marble bench tops and iconic kitchen appliance brand, Swiss V-Zug. Bergman and Co is collaborating with Melbourne’s internationally acclaimed local designers. The result of which has brought in bespoke lighting and custom shelves by Paul Grummisch with jewel-like lighting by Mark Douglas. Optimus Developments CEO Andrew Karpati said K1 Residences will set a new benchmark for innovation and elegance in Melbourne. Stylish on the inside and the out, the K1 exterior will present a striking form to the street, with a sinuous look and feel. Timber elements have been added to bring a more human scale to the spaces. Eyck said the apartments will feel like grand established mansions with private gardens. "K1 Union Road Melbourne is designed to reflect how we live and how we want to live."